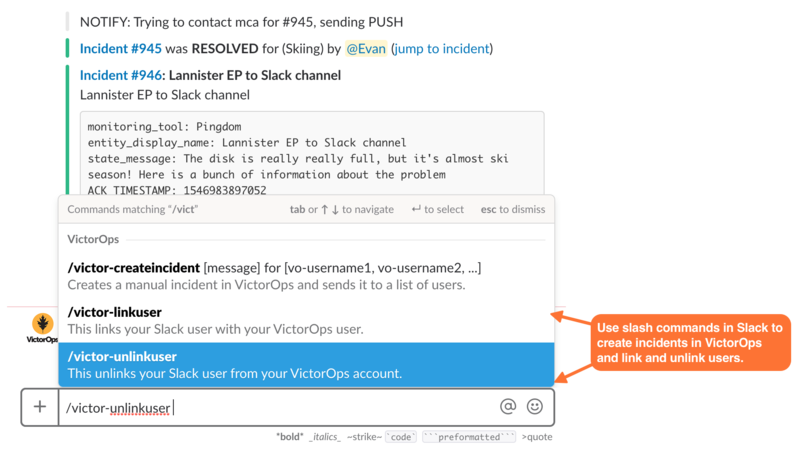 The VictorOps and Slack integration centralizes communication for engineers, developers, and IT managers. The Slack integration bridges the communication gap betlween on-call incident response and remediation to improve collaboration and reduce MTTR. 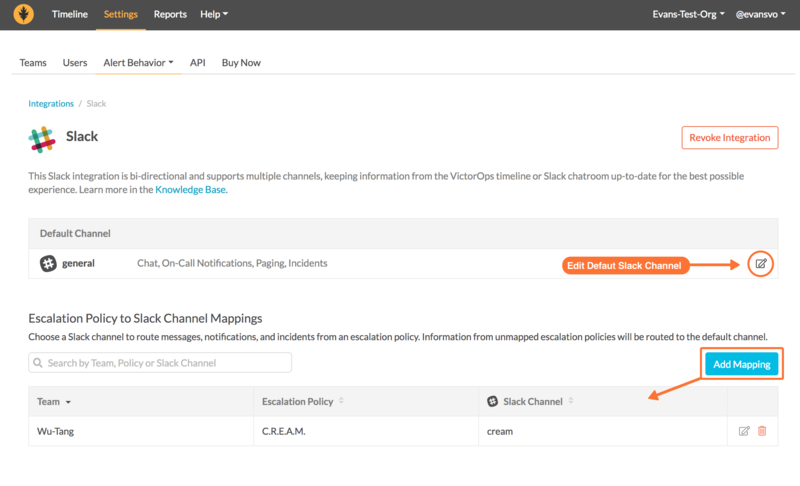 This guide contains the latest documentation for the current Slack integration with VictorOps, including both general and multi-channel configuration, as well as legacy documentation for webhooks integration. Slack is an established leader in the communication and collaboration space. Whether you belong to a small business or a large enterprise, the VictorOps and Slack integration allows you to connect the people, tools, process, and automation into a transparent workflow. VictorOps Version Required: Getting Started, Essentials, or Enterprise. You must disable the old Slack (webhook) integration prior to enabling this one. Multi-channel configuration is available for all levels of service. The VictorOps Slack App allows you to work on the platform of your choice without losing any functionality or information. You may now ACK or RESOLVE from your Slack channel of choice. The following guide will walk you through setting up this integration. If you had previously installed our legacy Slack (webhook) integration you will need to disable the integration to prevent double messages from being sent between the two systems. 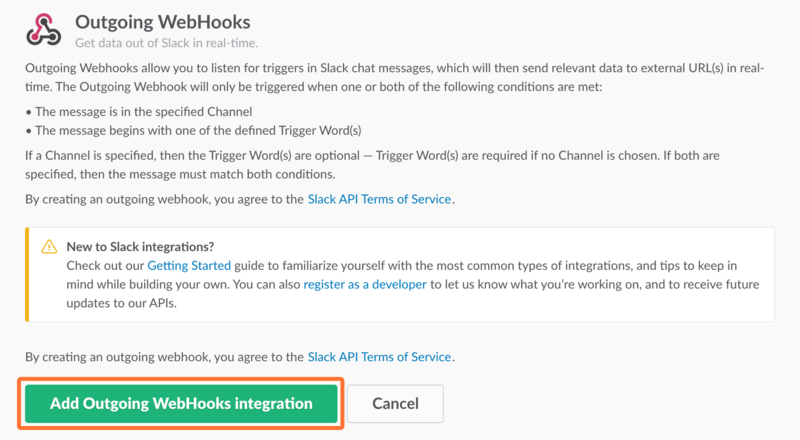 To do this, select the Slack (webhook) integration from the integrations page. And then select Disable to revoke the integration. Please be sure to recognize the administrative rights of your Slack environment. If you are not the Primary Owner of your Slack workspace you will need to seek out permission to transfer ownership in order to integrate with VictorOps. These permissions may be managed in Slack under the main settings >> Manage Members. Then, Transfer Ownership to the user tasked with the integration. Primary Ownership may be easily transferred back to the original owner once the integration is complete. 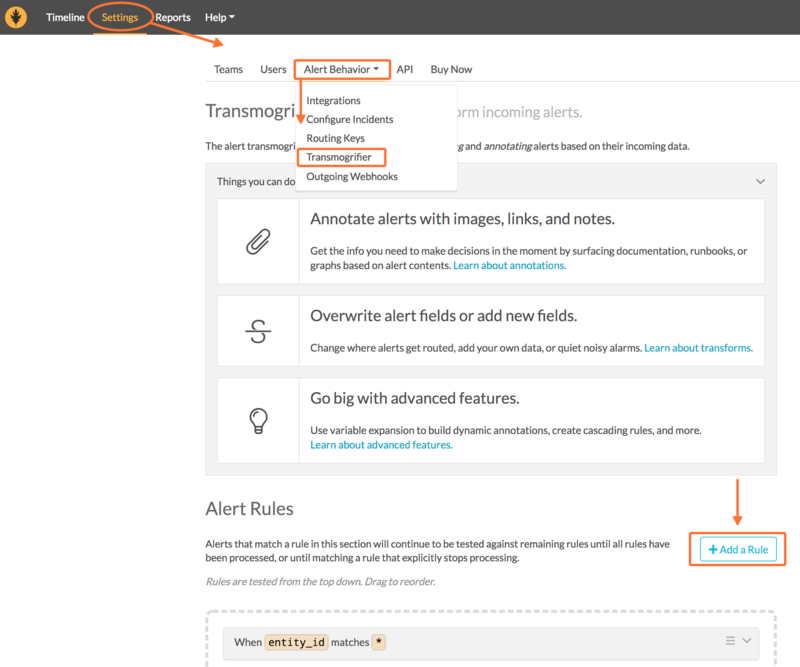 From the VictorOps web portal select Settings then Alert Behavior, then Integrations. Next, select the Slack integration tile. This will bring up a Slack authentication screen to first pick the team you want to integrate with and then to log in. 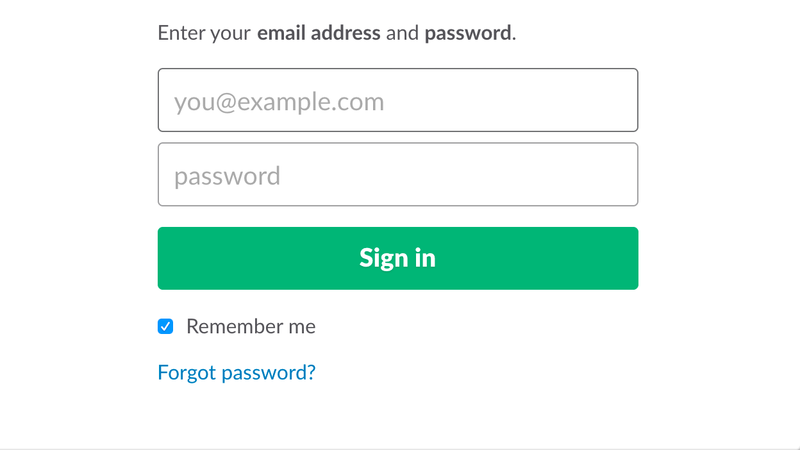 Then, enter your email and password. If you’ve already integrated Slack with VictorOps, you’ll be prompted on your Slack integration settings page to upgrade to Slack v2.3. 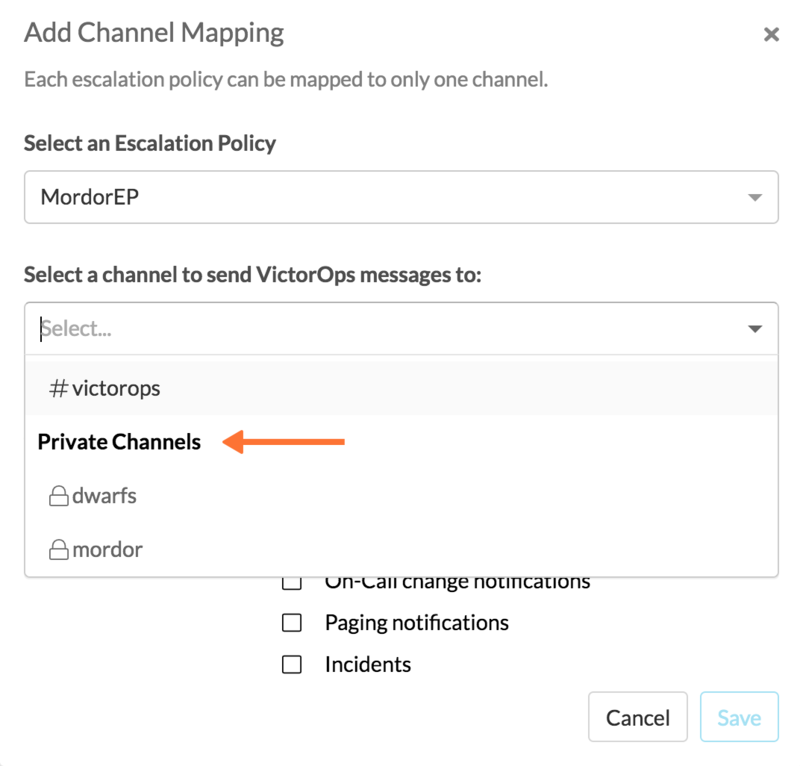 Once you’ve updated the integration you’ll be able to Add Mapping between VictorOps Escalation Policies and Slack Channels. Initially, you’ll be prompted to pick a default Slack channel. 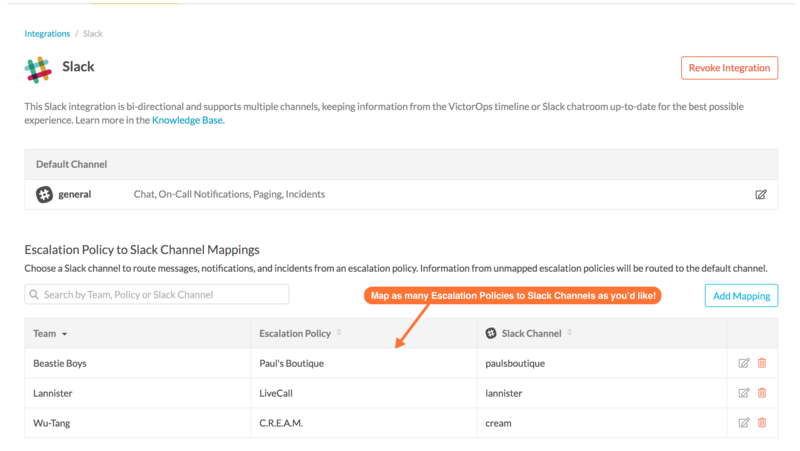 Once you’ve Added Mapping you’ll be able to select from a list of existing Escalation Polices and Slack Channels, as well as define settings to individual Slack Channels for more granular functionality. Private channels work as well. Toggling on and off the Channel Settings check boxes are good way to limit noise and control information flow into specific channels. You may also map multiple Escalation Policies to Slack Channels. When mapping private Slack channels you must give the VictorOps app permission to post to your private Slack channel. First, map your Escalation Policy to your desired private Slack channel. Next, head over to Slack and in your private Slack channel @mention VictorOps or select ‘Add an app’. Finally, give the app permission by selecting ‘Invite Them’. 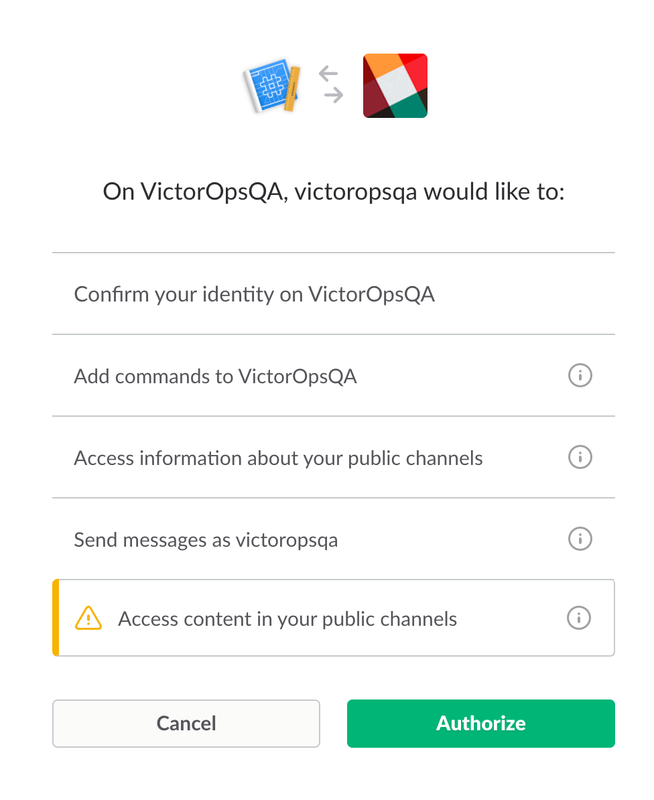 Now, the VictorOps app will be able to post to your private channel. 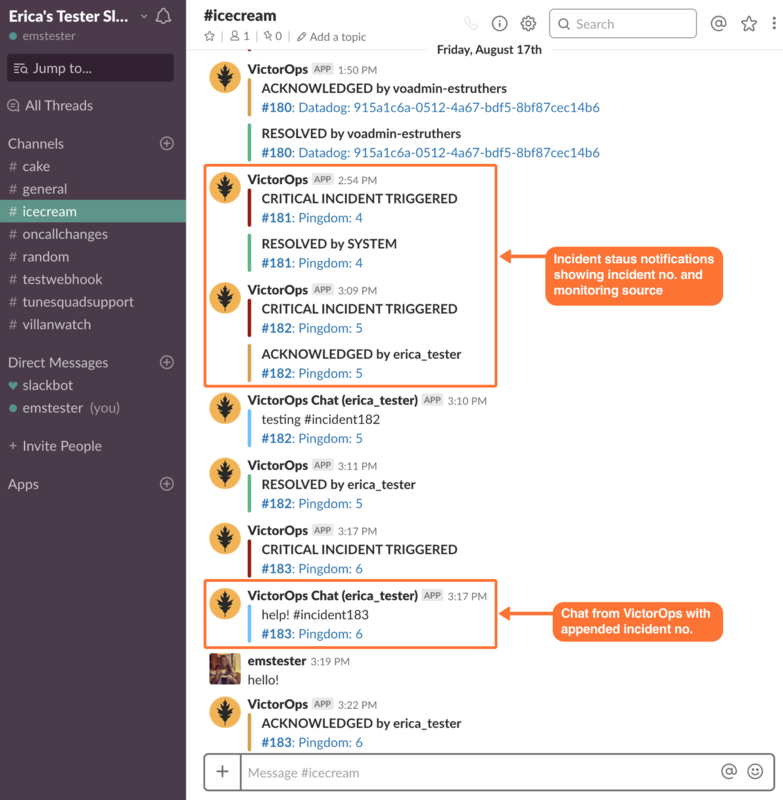 Triggered VictorOps incidents will route to specified Slack Channels based on Escalation Policy. From Slack you may Acknowledge, Reroute, Resolve, and even Snooze incidents. To keep communication about an incident all in one place, use a hashtag and the incident number to reference a specific incident within Slack. If you need to enable the integration, if you have any feedback or if you need to report an issue with the Slack integration, please don’t hesitate to reach out to us at victorops-support@splunk.com. 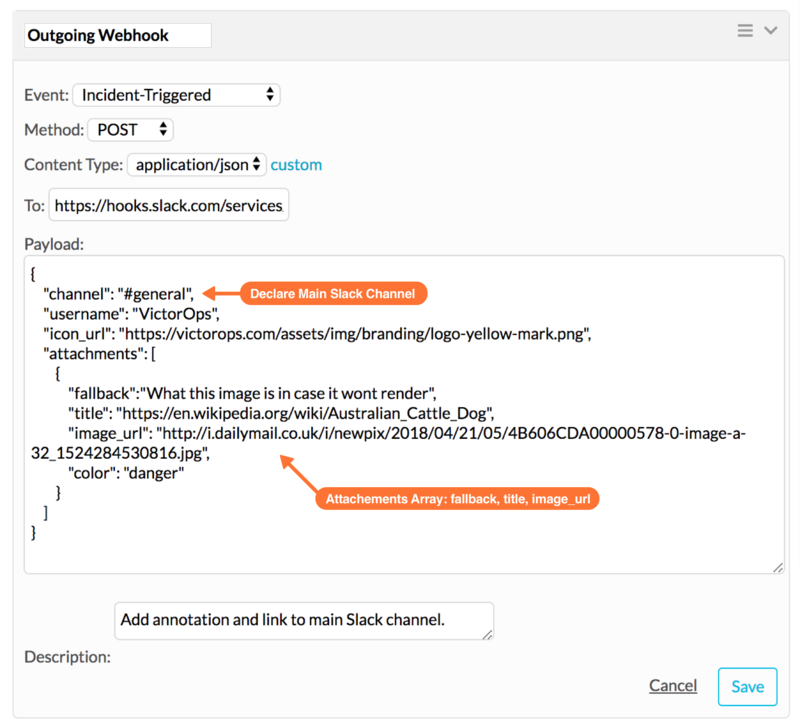 If you’ve purchased the VictorOps Full-Stack level of service, you may leverage our Transmogrifier and our custom Outgoing Webhooks to surface in Slack annotations associated with specific incidents. 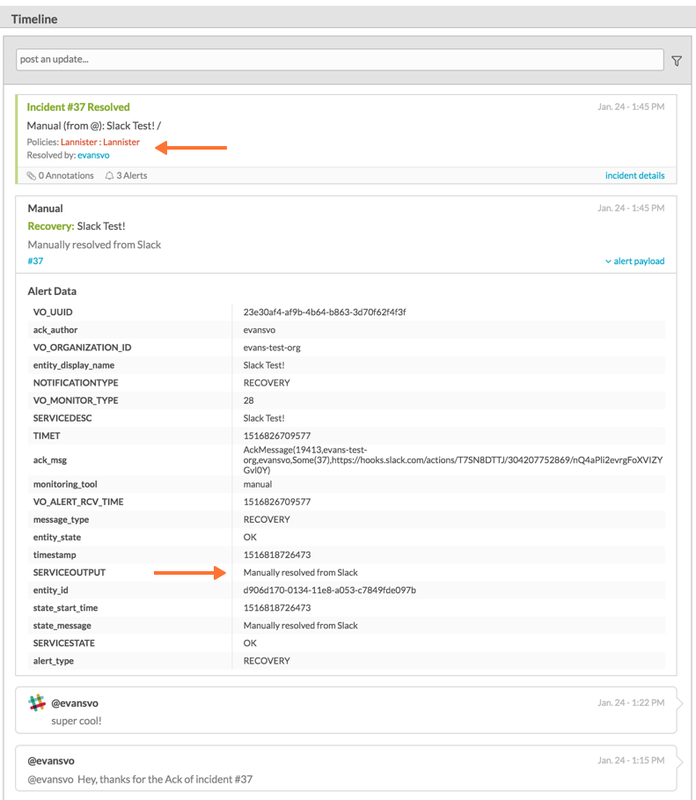 Please see the example Webhook with attachments array below. In this example, the “title” field carries the clickable link and the “image_url” is, of course, the rendered image as defined in the Transmogrifer. You may copy and paste the below example directly into an Outgoing Webhook and edit the channel name, title, image_url, and color fields to suit your needs. For further reference on attaching content and links to Slack via webhook, please read the Slack documentation on the subject found here. If you have any questions regarding the above article, please contact VictorOps support (support@victorops.com). What you need to know: This Slack multi-channel configuration is to be used with VictorOps Custom Outgoing Webhooks and our Slack App integration. To avoid confusion, this configuration is NOT to be used with our legacy Slack (Webhook) integration. We recommend using this documentation with our standalone Slack App integration. Currently, in this multi-channel configuration, bi-directionality is not supported outside of the main VictorOps Slack App channel. This configuration is VictorOps to Slack only. This setup allows you to segregate VictorOps incidents into their own separate Slack channels based on the routing_key value in VictorOps. 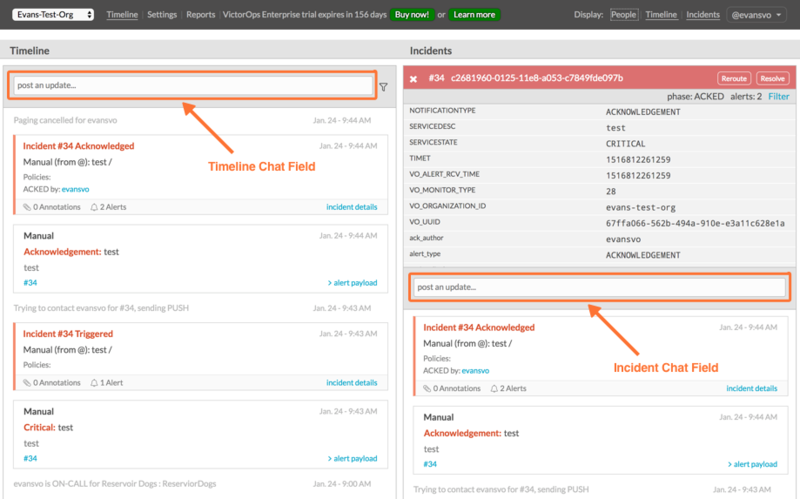 Incident-specific chats in VictorOps (chats entered into the incident-pane chat bar on the far right) may also be sent to a specific Slack channel based on the routing_key of the incident. This configuration adds the name of the VictorOps user that Ack’d and Resolved the incidents, and provides links in Slack that take the user directly to the incidents in VictorOps. In the following document, we’ll show you how to configure the Slack App for Incoming Webhooks, create VictorOps Outgoing Webhooks, and create new Transmogrifier rules to help steer VictorOps incidents and chats into specified Slack channels. 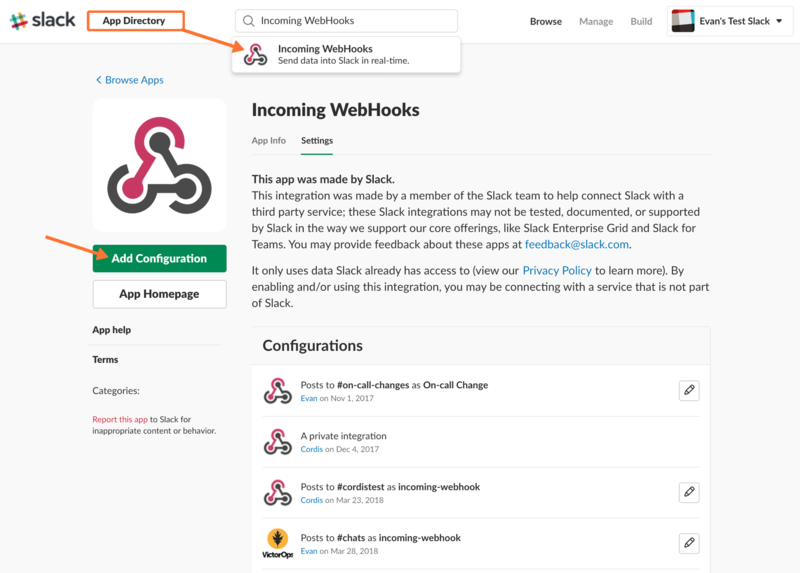 Within Slack, in Slack’s App Directory, you’ll want to add as a configuration Incoming WebHooks. Next, create a new Incoming Webhook. 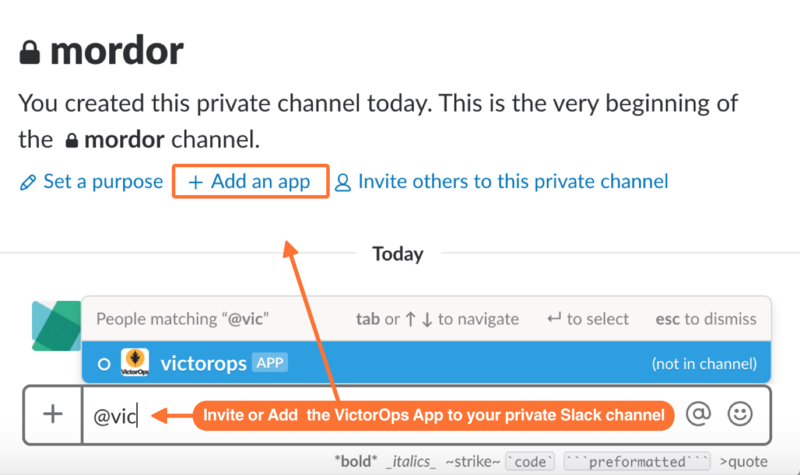 Here, under Integration Settings, you’ll want to Post to your main VictorOps Slack channel. This is the Channel that’s declared in the VictorOps Slack App integration page. You’ll also want to copy the Webhook URL and save it for use when we set up the VictorOps custom Outgoing Webhooks. Now that we’ve copied the correct Webhook URL and have the appropriate Slack channel selected, we’re ready to head over to VictorOps for further configuration. 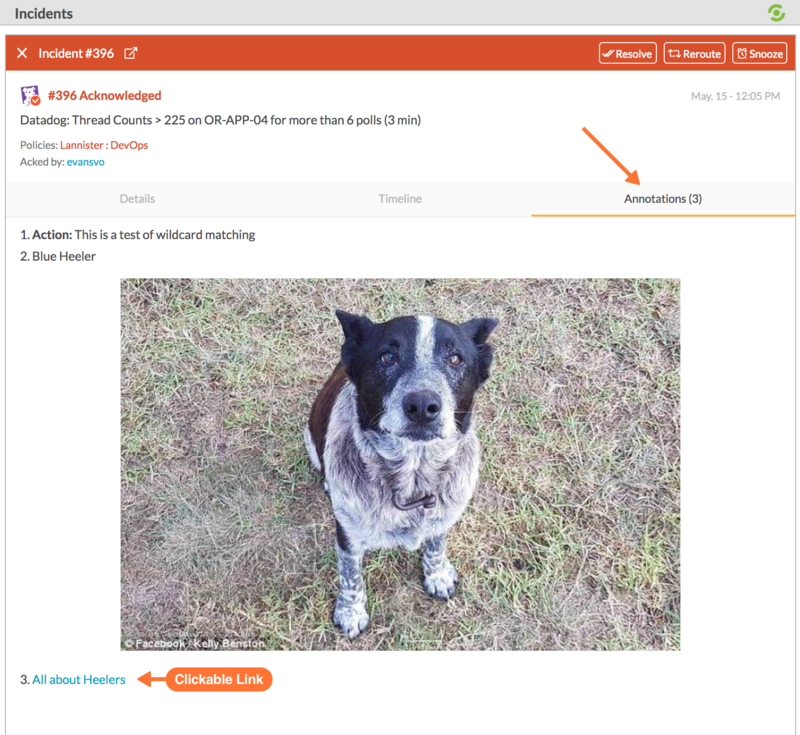 Within VictorOps you’ll want to leverage our custom Outgoing Webhooks and our Transmogrifer to steer VictorOps incident, shift change, and chat activity to designated channels in Slack. Now you will create rules to associate your Slack channels to their appropriate routing_keys in VictorOps. In this example, the routing key I want to use is “ops” and the name of the Slack channel I wish to link is “support”. Click Add a Rule. 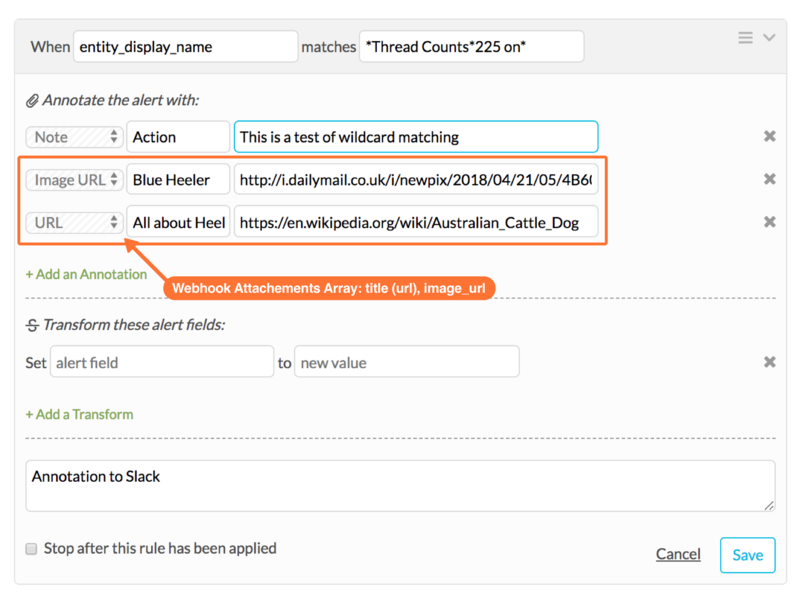 For the matching condition, alert field = routing_key AND pattern = (Your routing_key here). For the Transform, alert field = slack_channel AND new value = (Slack channel name here) like the example below. Do not include a # sign before the channel name. 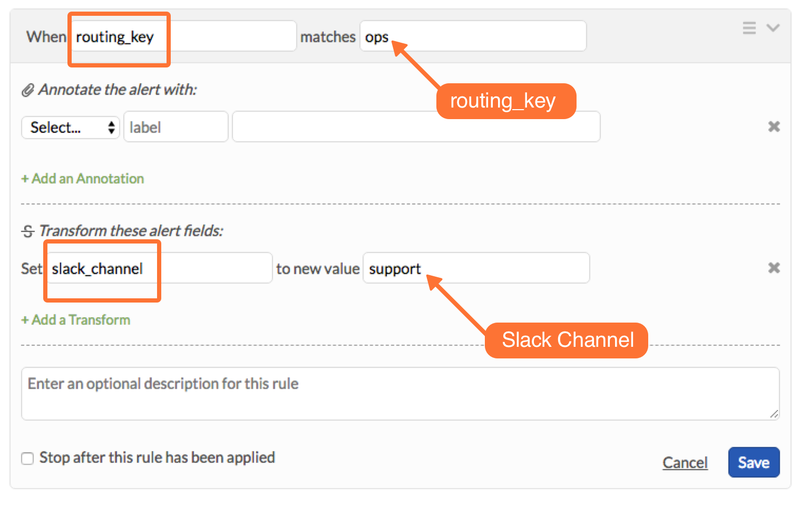 If you have have many Slack channels and many routing keys, you will need one rule per VictorOps routing_key. In other words, configure one Transmogrifier rule per routing_key in order to send routed alerts to specific slack channels. 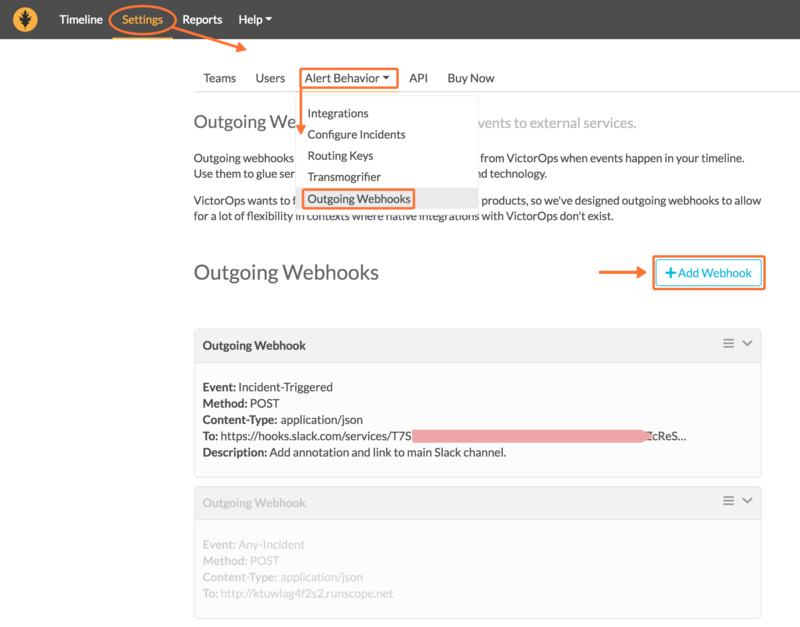 Navigate to our custom Outgoing Webhooks: Settings >> Alert Behavior >> Outgoing Webhooks. Here you’ll want to create four outgoing webhooks based on Event Type. You will need a total of 4 webhooks to complete this setup. All four of these webhooks will use the same URL (the one we copied from Slack) in the “To Field:” You can copy and paste the templated payloads found below exactly as they are. If you would like to add more variables to your payload, see the ‘Available Variables’ column to the right of the payload. As long as you have the required Transmogrifer rules, no editing of the payload should be necessary. Configure the following webhooks (you will have to click Add Webhook at the top each time, then scroll down to the new window). Back in Slack, each channel should see incident activity (based on routing key) for the four configured webhooks. As you can see, in the below image there’s a incoming Triggered event, Acknowledged event, Resolved event, and a Chat. Once authorized, you’ll be prompted to select a Slack channel. Finally, you’ll be redirected back to VictorOps and a message will display that the Authentication was successful. Now, from the VictorOps web interface, you may configure aspects of the integration. 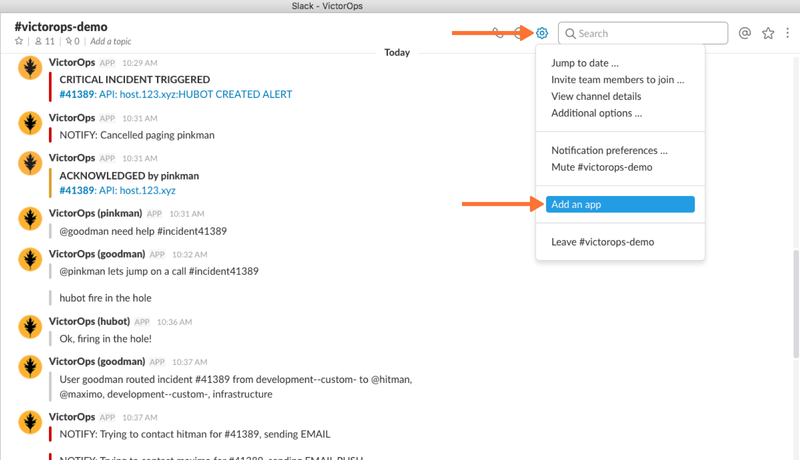 For instance, you may choose a Slack channel you’d like to integrate with and control the message notifications from VictorOps to Slack. After you finish configuring your settings please be sure to press the Save button. 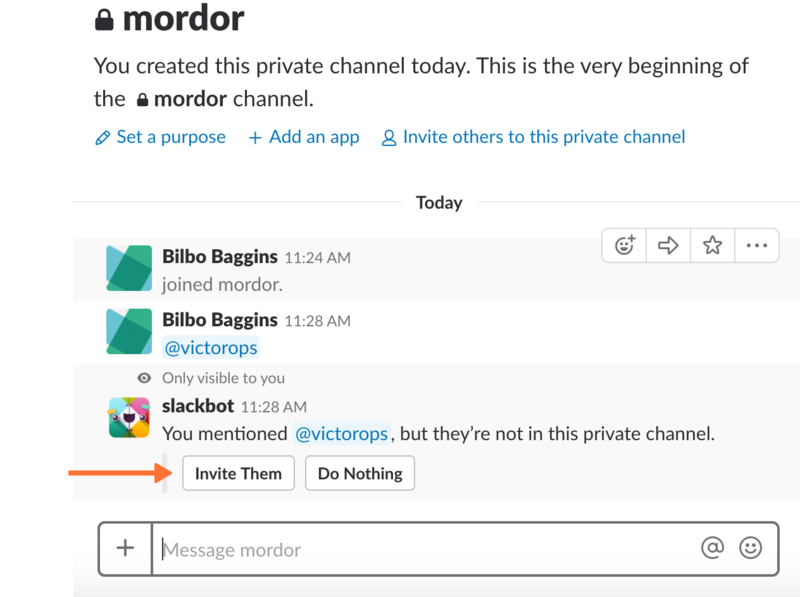 In Slack @ mention the @VictorOps bot user to add it to your channel if it doesn’t automatically appear. 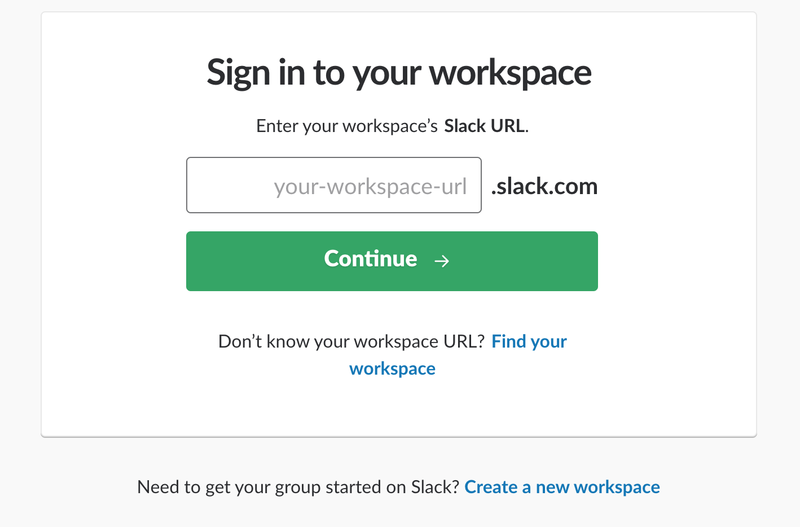 From Slack, you can use the slash command /linkuser to generate a link that will initiate the linking process. After running the /linkuser command, log into your VictorOps account and you will be notified that your user is linked. Once you’re connected you’ll be able to successfully ACK incidents in Slack. 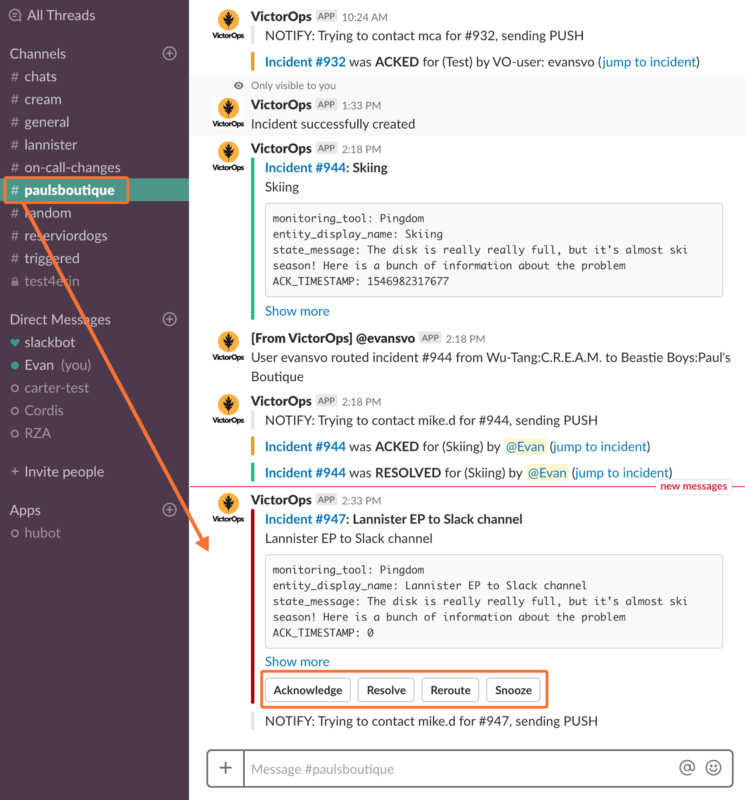 Note: If you do not link your user, incident actions in Slack will not be passed to VictorOps. In the event that you need to unlink your VictorOps user from your Slack user, please contact VictorOps Support (support@victorops.com). This is a simple and quick process, but currently, it must be initiated by our support team. 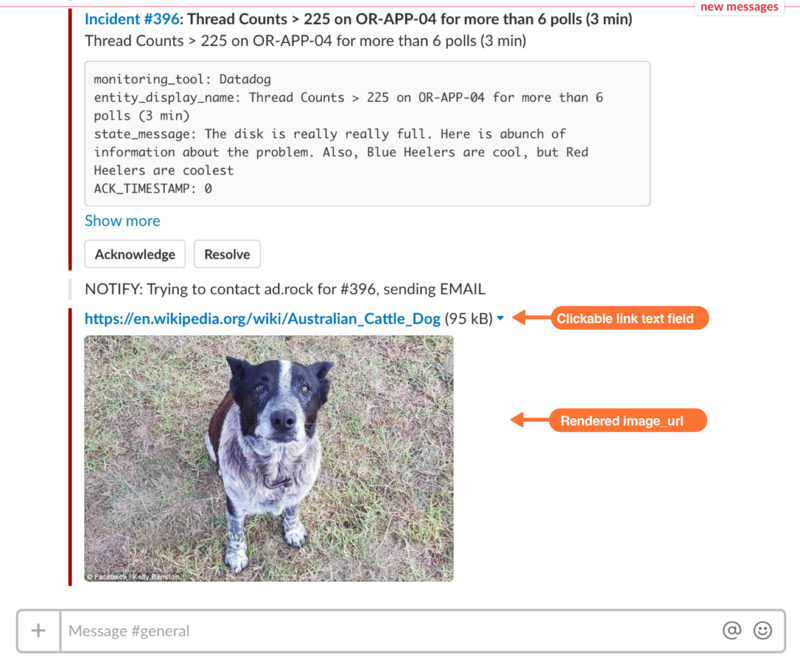 Now that your user is linked you can interact with VictorOps incidents from the slack channel. 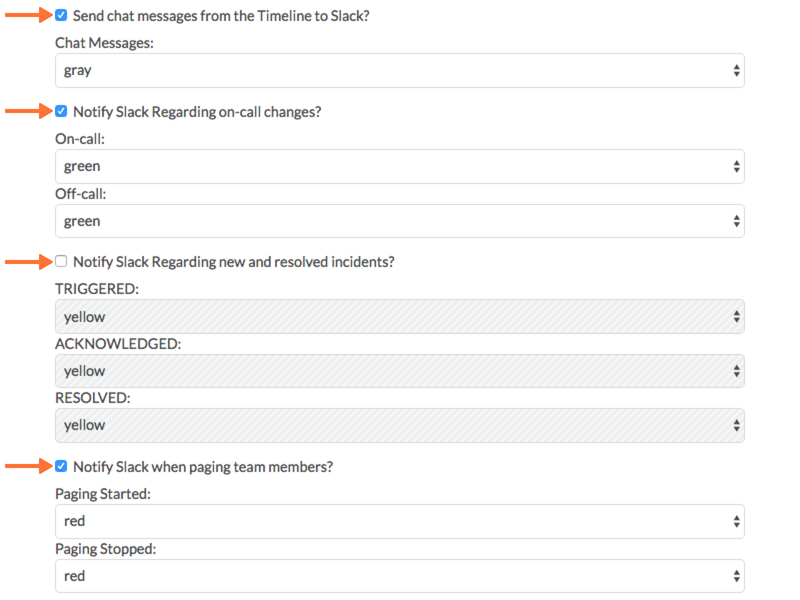 In the VictorOps Timeline, you’ll be notified of Ack and Resolve actions that occurred in Slack. VictorOps Version Required: Getting Started/Essentials (Basic config), Enterprise (Multi-Channel config). What you need to know: The basic configuration links your VictorOps timeline, bidirectionally, to a single Slack channel. The advanced configuration provides links and routing to multiple Slack channels with some limitations (must complete basic setup first). Before we get started, please note that this integration is not the recommended Slack integration. We recommend integrating with the Slack App integration listed under the General Use section of this document. The newest iteration of our Slack integration provides more functionality within Slack. 1. 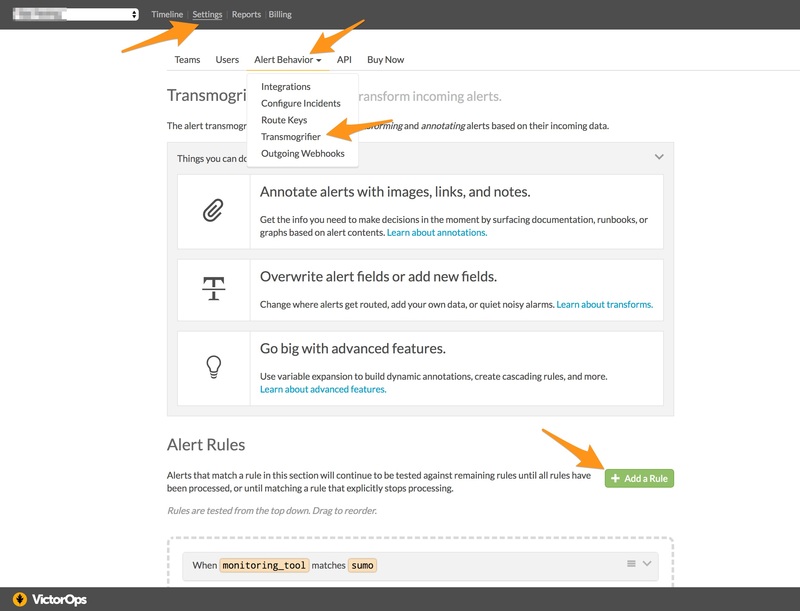 From the VictorOps Timeline select “Settings” >> “Alert Behavior” >> “Integrations”. 2. 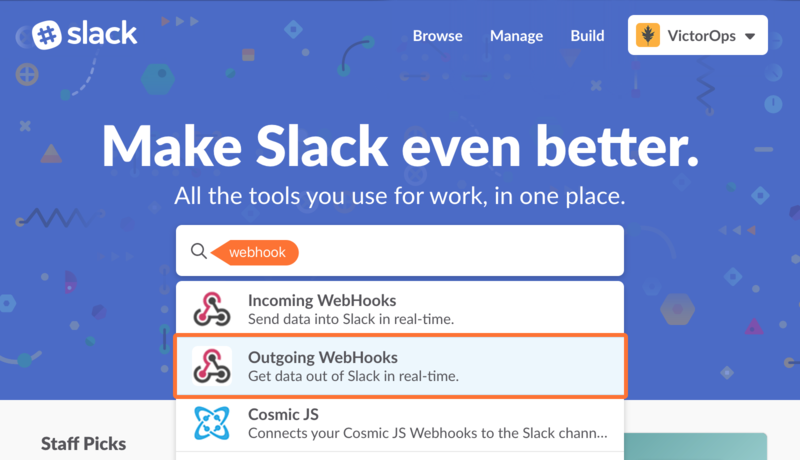 Scroll down and select the “Slack (webhook)” integration button (alphabetical order). If the integration has not been enabled, click “Enable Integration”. 3. Copy the Outgoing Webhook URL that is generated by enabling the integration, and keep this page open as you will return to paste in the webhook URL generated by Slack in subsequent steps. 4. From your Slack account (as an Admin) navigate to the channel you wish to link and select the settings icon. Choose to Add an app or integration. 7. 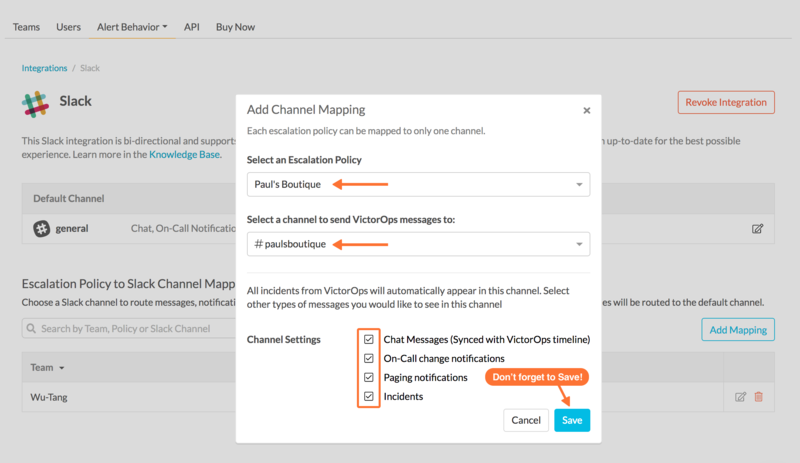 Select the channel you want to link to your VictorOps timeline. 8. Copy the Webhooks URL to your clipboard. 9.Scroll to the bottom and click Save Settings. 11. Return to the Slack integrations search function, and type “webhooks”. Select Outgoing WebHooks. 12. Click on Add Configuration. 13. Click Add Outgoing WebHooks Integration. 14. Scroll down to the Integration Settings section. 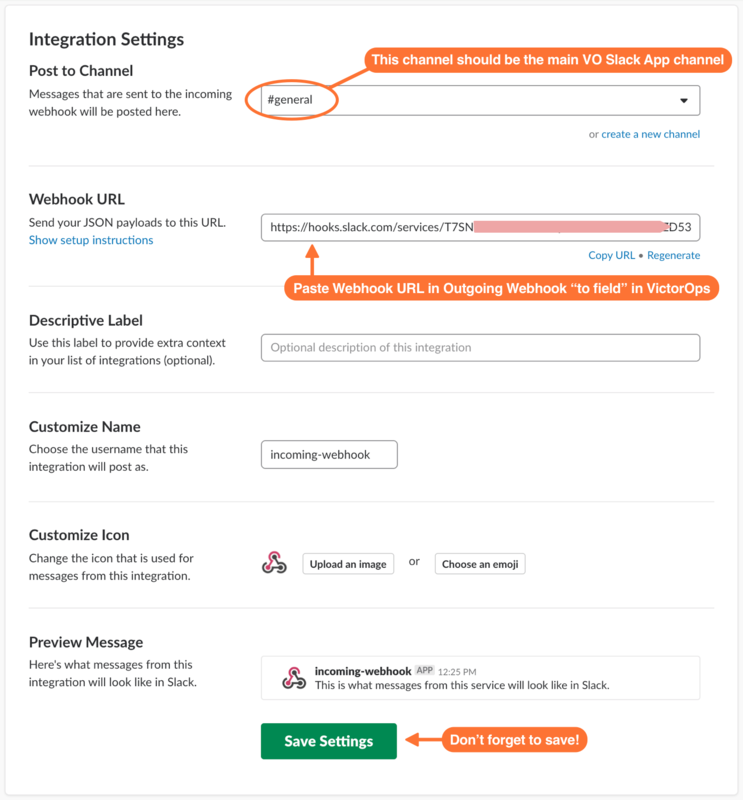 Select the channel you are linking with VictorOps and then paste the URL you copied from the Outgoing Webhooks URL section in VictorOps (Step 3 above) into the URL(s) section in Slack. 15. Scroll to the bottom and select Save Changes. 16. 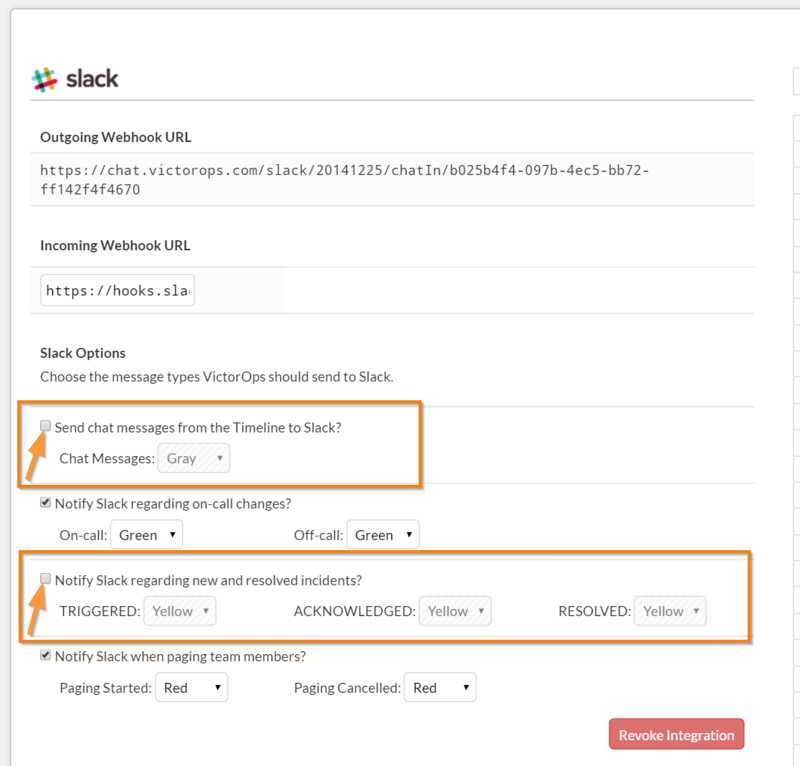 Return to the Slack integration settings in VictorOps and read through the Slack Options section to fine tune the integration. 17. Navigate to your main timeline in VictorOps, and enter any text into one of the two chat bars and press ENTER/RETURN. (Notice that the chat bar located in the incident pane (far right) will append the incident # to the chat) You should see the chat appear in your Slack channel. Reply to the chat from within Slack and you should see the response in the VictorOps timeline. This setup allows you to segregate VictorOps incidents into their own separate Slack channels based on the routing_key value in VictorOps. 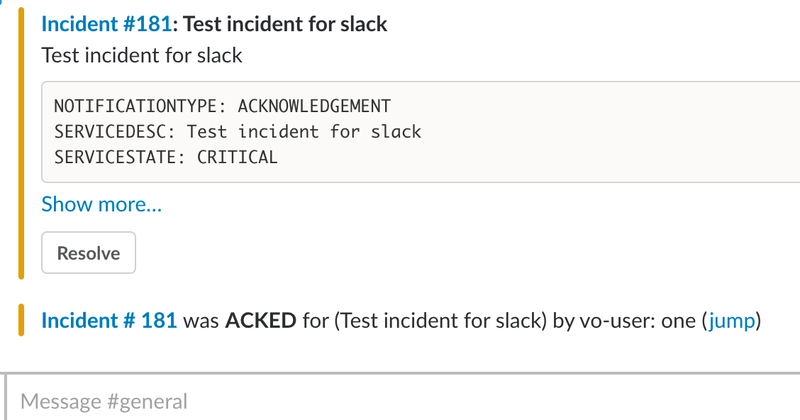 Incident-specific chats in VictorOps (chats entered into the incident-pane chat bar on the far right) can also be sent to a specific Slack channel based on the routing_key of the incident. This setup also adds the name of the VictorOps user that ack’d and resolved incidents, as well as links in Slack that take the user directly to the incident in VictorOps. This is not the recommended multi-channel configuration. This is legacy documentation for multi-channel configuration within our legacy slack integration. This setup requires the Enterprise version of VictorOps to make use of the Transmogrifier and Custom Outgoing Webhooks features. Note: The names of the Slack channels will be declared directly in the payload of the webhooks to Slack, therefore you can use the same URL from step 8 of the basic setup. 3. Now you will create rules to associate your Slack channels to their appropriate routing_keys in VictorOps. In this example, the routing key I want to use is “ops” and the name of the Slack channel I wish to link is “support”. Click Add a Rule. 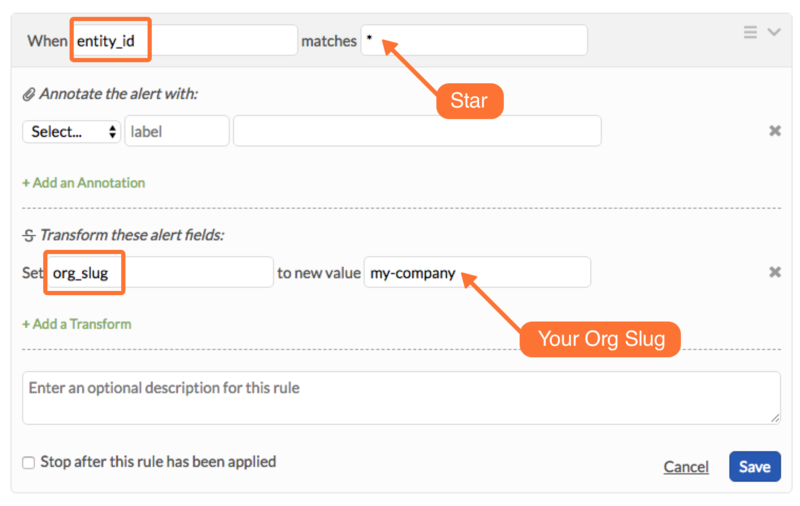 For the matching condition, alert field = routing_key AND pattern = (Your routing_key here). For the Transform, alert field = slack_channel AND new value = (Slack channel name here) like the example below. Do not include a # sign before the channel name. You will need another rule like this for each of the VictorOps routing_keys you wish to link to a Slack channel. You will need a total of 4 webhooks to complete this setup. You can copy and paste the payloads below exactly as they are. As long as you have set up the Transmogrifier rules, no editing of the payload should be necessary. 4. 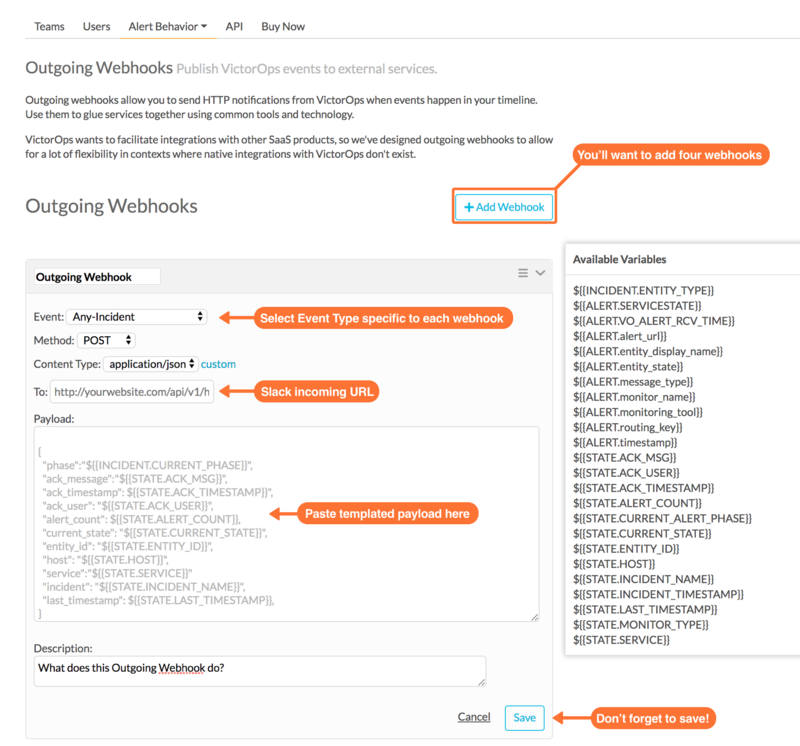 In VictorOps, navigate to Settings >> Webhooks and click on Add Webhook to create a new webhook.